1. Use sunscreen. This isn’t just for sunny days. 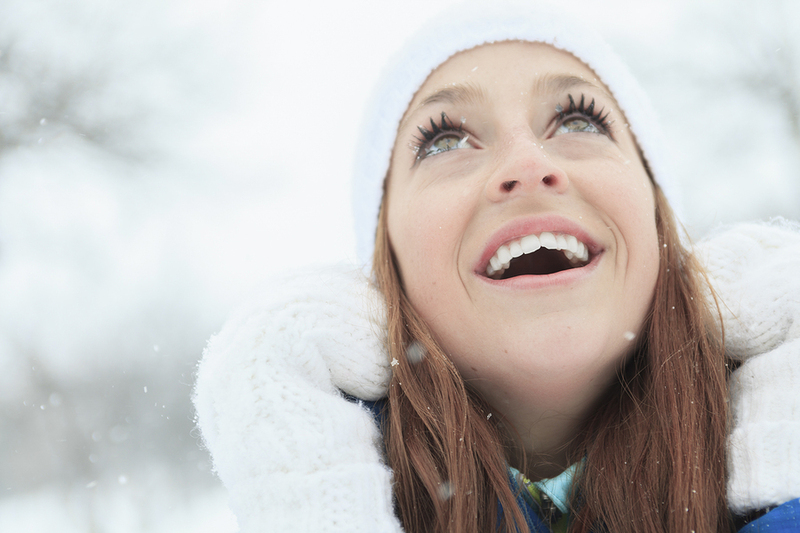 Using sunscreen protects your skin on the cloudy, overcast days or when you are hitting the slopes. Apply every 2 hours as well as moisturizing your skin to protect from the extreme temperature changes. Also, be sure to wear gloves to protect your hands. 2. Drink water. Increase your fluid intake during the winter months when thirst is usually not a good indicator of hydration. 3. Take advantage of seasonal produce that will give your skin a boost: beets, pumpkin, cinnamon, butternut squash, sweet potatoes, cranberries and pomegranate are a few of our seasonal favorites. Also, enjoy cocoa (think dark and sweetened with stevia or Sweet-n-Natural), green tea and red wine for their antioxidant punch! My favorite quick antioxidant facial treatment – combine 1-2 tablespoons of pumpkin with 1 tablespoon of honey, and ½ tsp cinnamon. Apply after cleansing face and rinse off for a holiday glow. 4. Sleep. Don’t let the holidays and shopping interrupt your beauty rest. If you need some help, try melatonin or Dr. Hotze’s Sleep Formula. 5. Cheers! If you consume more alcohol during the holidays, make sure to have one glass of water for every alcoholic beverage that you consume. 6. Always remove your make-up and apply moisturizer. Our go-to “not to be caught without” is Hotze Renewal Cream and Night Repair. 7. Increase your intake of healthy fats to help lubricate your skin. Fish, olive, macadamia nut and coconut oils are a few of our favorites. 8. Schedule your skin rejuvenation treatment or Hotze Signature Facial. While you’re at it, pick up a gift card for that someone special in your life! To get started with your customized skin treatments, call us today, (281) 698-8770.